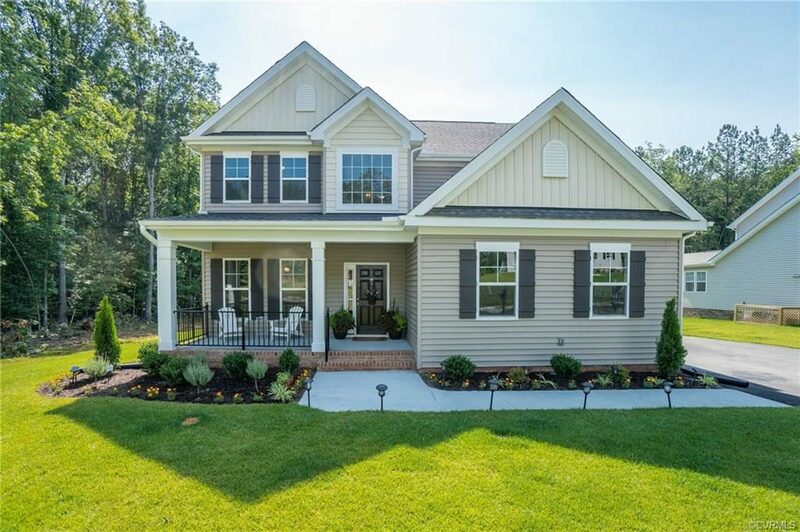 Welcome to 8531 Amington Lane Chesterfield, Va. 23832 where you Don’t Wait For A New Home To Be Built. 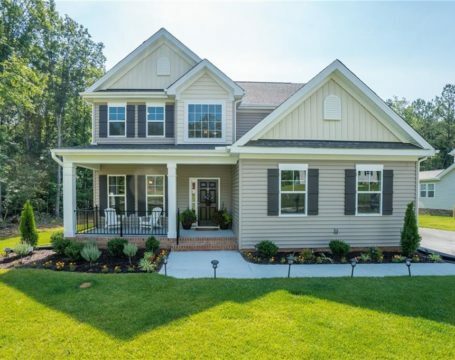 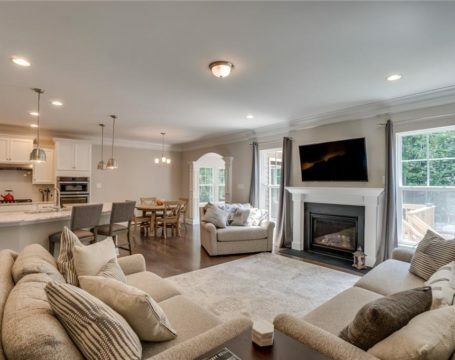 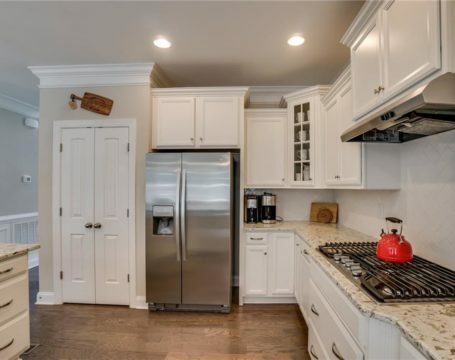 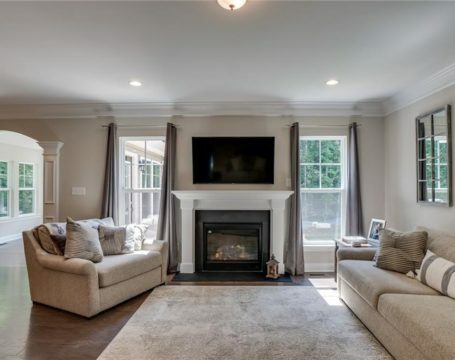 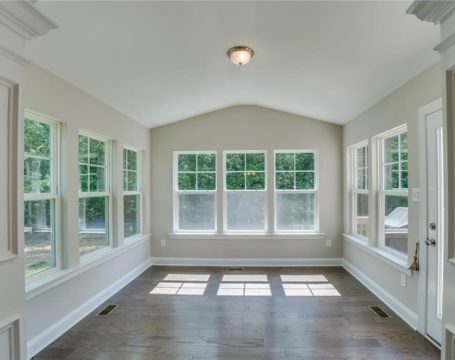 This Chesterfield County home is ONLY 7 months old! 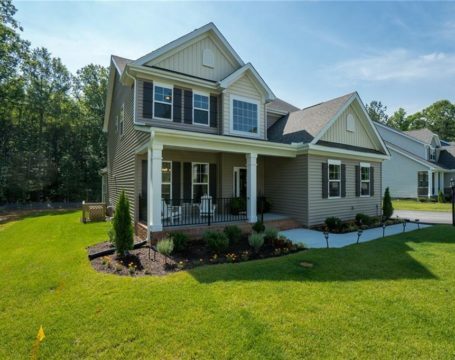 Located in Harper’s Mill, this amazing home is calling your name, and shows like a model home with tons of upgrades. 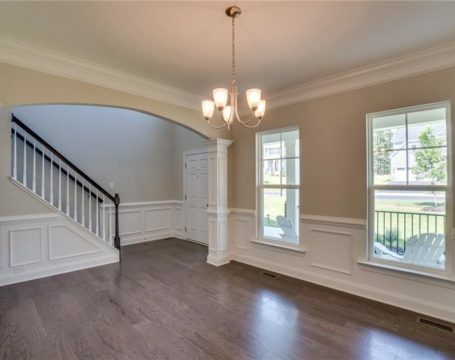 On the main level you are welcomed by a 2 story foyer, with hardwood floors throughout. 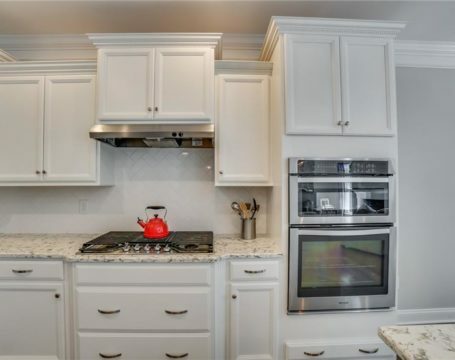 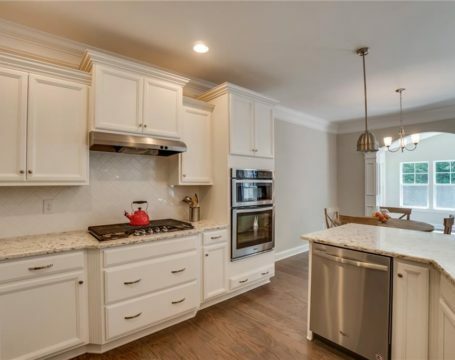 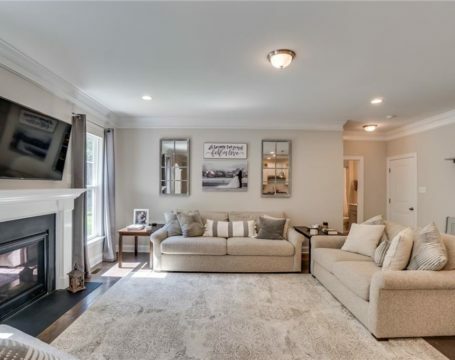 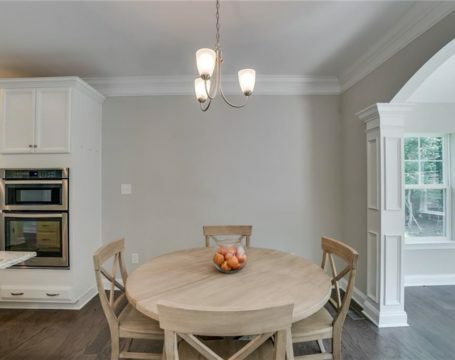 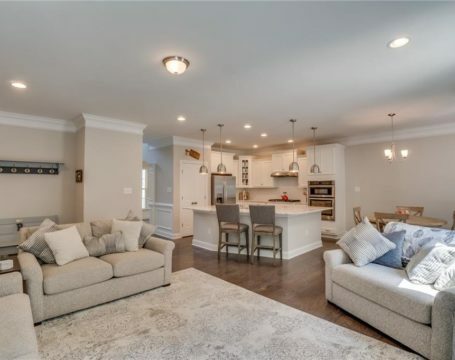 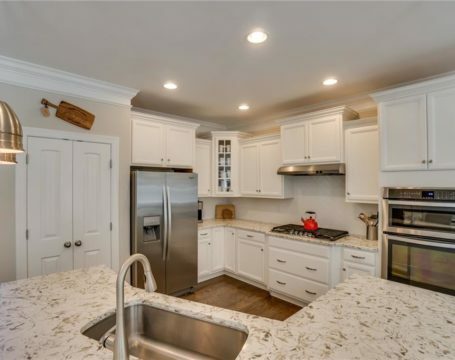 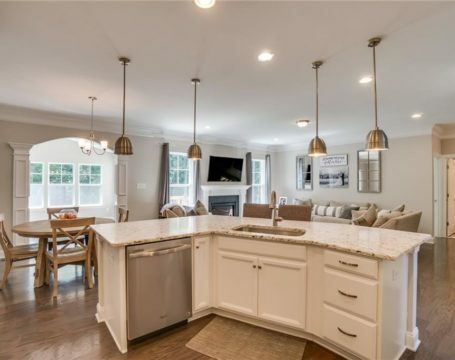 You will enjoy the open floor plan living room with the grand kitchen w/ upgraded quartz counters, and abundance of cabinet space, stainless appliances, as well as an eat in kitchen. 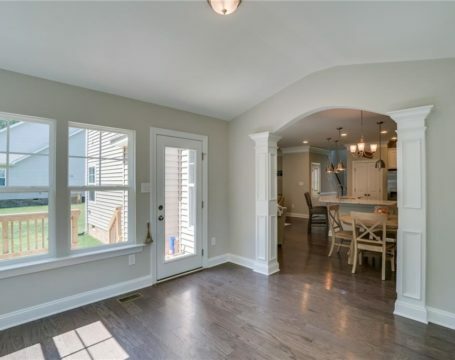 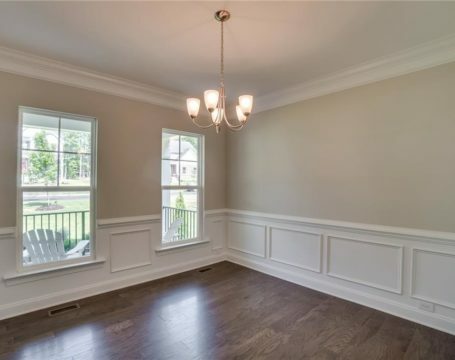 Also on this level is your formal dining area with chair railing, and an over sized sun room with access to the back deck. 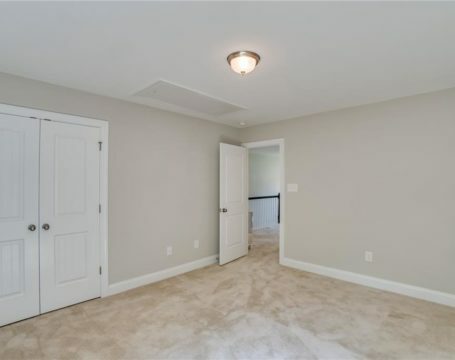 Around the corner from the living room is a first level bedroom, full bath, and direct access to a 2 car attached garage. 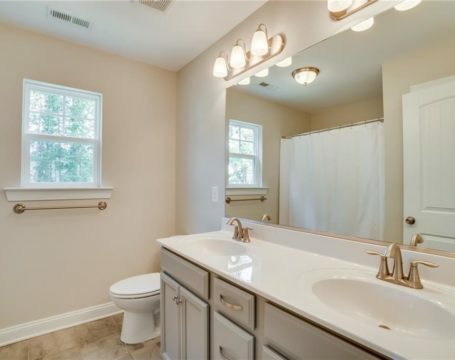 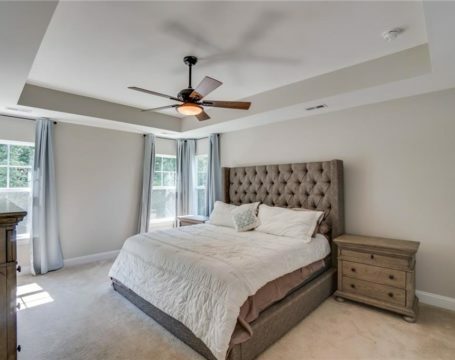 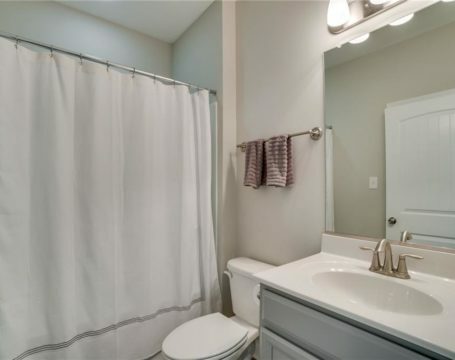 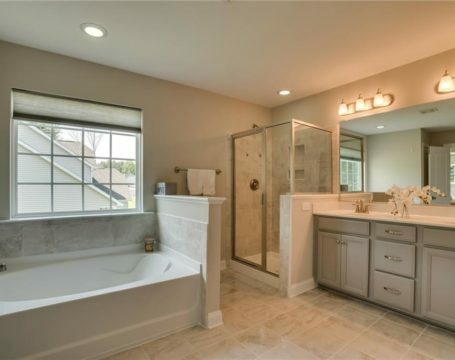 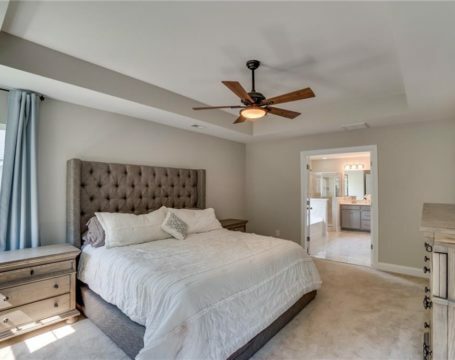 Upstairs boasts a luxurious master suite with plush carpet, tray ceiling with ceiling fan, and a gorgeous master bath with tile floor, double sink, & huge walk in closet. 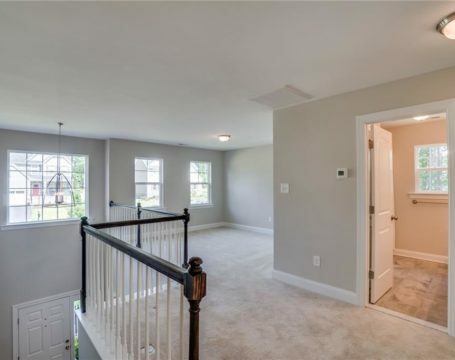 Down the hall, you have 2 more generously sized bedrooms, 1 full bath with tile floor, and double vanity sink, and your spacious loft area great for office, entertaining, media room etc. 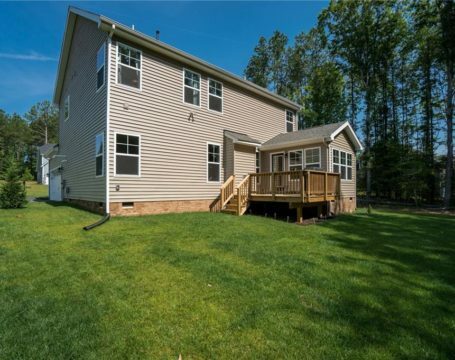 Other features include separate utility room, 7 zone irrigation system, tankless water heater, paved extended driveway, and more.